For a lot of us, the New Year brings a desire to reset — which tends to mean new diets, new gym memberships, new attempts to kill old habits. Those are all fine things to do, but in 2018, we want to approach the New Year in Nashville a little differently, and try to find a new passion. Something creative, inspiring and fun, preferably among other Nashvillians. The catch: We haven’t settled yet on exactly what that’ll be, specifically. 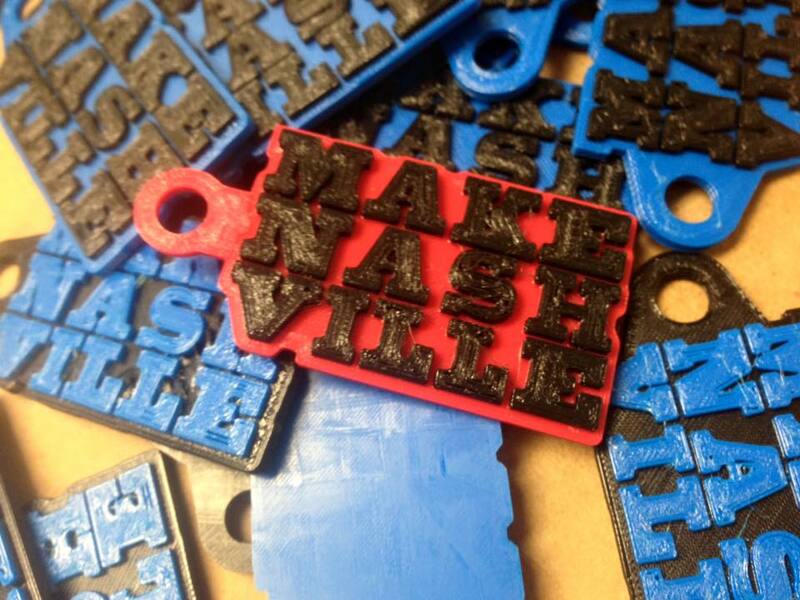 So our solution: East Nashville’s Make Nashville, a community makerspace that’ll let you explore a wide array of creative endeavors — from sewing to woodworking to ceramics and beyond — and help you learn, with regular workshops and events. Inside Make Nashville’s Woodland Street home, you can bounce between smaller spaces stocked with tools — a sewing lab filled with sewing machines, and electronics lab with soldering stations and oscilloscopes, a wood shop with everything from simple tools to a laser engraver and lathe. To make use of that stuff, and to learn how to use it all, you have a few options. The most thorough option: become a Make Nashville member, which’ll give you all-the-time access to the space and all the trimmings, and support the organization’s mission of promoting and furthering creativity in Nashville. Standard memberships are $75 a month, but if you don’t see yourself working there a ton, there are $35 “supporter” memberships too, which give you more limited access. If you’d rather start exploring Make Nashville’s offerings on a one-off basis before you dive in, their ticketed workshops might be your bet. This month, they have beginners welding workshops, a pottery workshop and lots more. Short on cash, post-holidays, but still feel intrigued? There’s a cost-free way to get to know Make Nashville too. 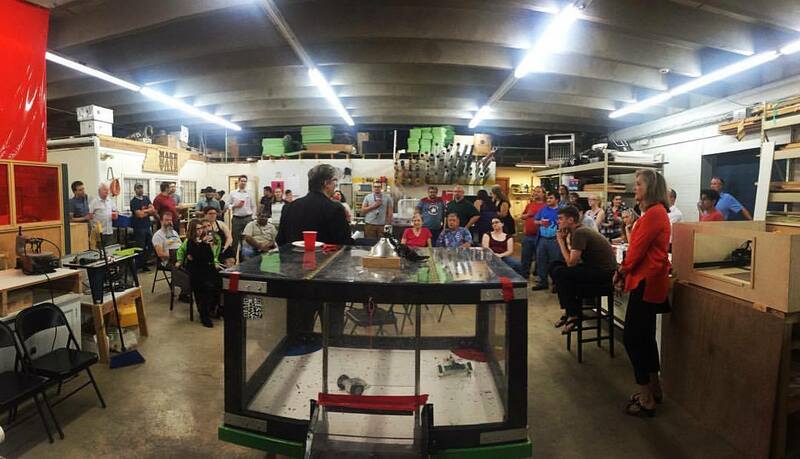 Each Friday night, they host an open house/community build night, where you can meet the folks that make Make Nashville hum, check out the different spaces and tools and get a better sense of whether your new passion hides somewhere within those walls. Those kick off at 6 p.m., and run until 8. Ponying up for a makerspace membership might seem unnecessary if you can sew or craft at home, but we’re drawn Make Nashville for a bunch of reasons. A big one: access to tools we wouldn’t otherwise get a chance to learn about or use. We’re not sure if pottery’s going to grab us, but we’re intrigued to try it out without dropping two grand on a kiln. Same goes for getting acquainted with 3D printing. Probably the biggest draw: access to experienced makers who’ll help us learn to use those tools, and get creative. 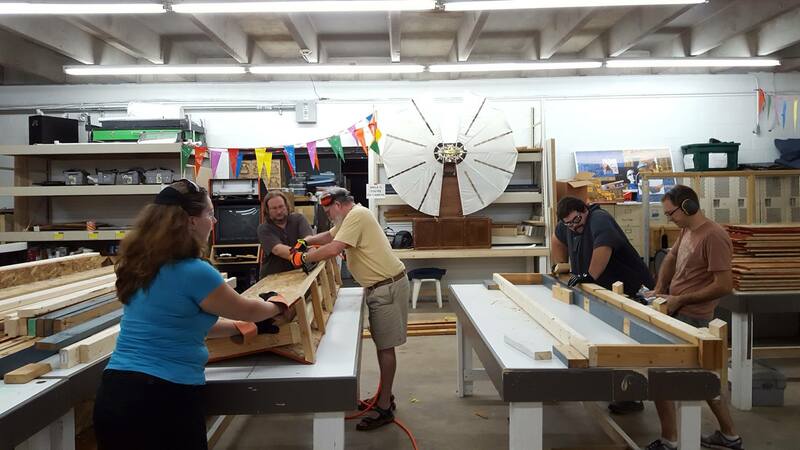 From shop captains and teachers to other members, there’s a braintrust in a makerspace like Make Nashville that we don’t have in our spare bedrooms. If you’re short on space in your Nashville home, or are obsessed with keeping the place clean, it’s also hard to oversell the benefits of having access to dirty space, where sawdust and clay crumbles aren’t just accepted, but expected. If kicking off the New Year by exploring new creative endeavors sounds appealing to you too, there’s more info on Make Nashville at makenashville.org, and regular updates on the Make Nashville Facebook page. If kicking off 2018 by finding a new home in Nashville sounds more your current speed, we can help. Reach ACRE here, or for an easy way to get your Nashville househunting process started, fill out this quick form.